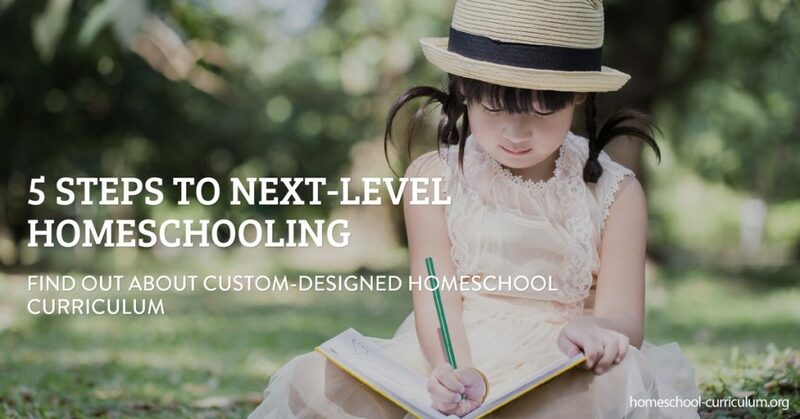 If one of the reasons you started homeschooling is to avoid a run-of-the-mill assembly-line type of curriculum, you’ve come to the right place. We are all individuals, so why can’t we have a customized homeschool curriculum to fit our child’s needs? Here are five easy steps you can follow to make sure your child has the best-customized curriculum. Don’t feel the pressure to teach all six subjects on the first day. Pick one subject and focus on that for now. A curriculum can be customized to start with one subject at a time. Many homeschooling parents feel like they are spread too thin bouncing back and forth between math, spelling, history, and science. Slow down and start with just one at a time. Don’t save the best for last. Start with the best! Think about your child’s strengths and start with that subject. Maybe your child gravitates towards biology or aerospace. Start with that subject and consider what causes them to be interested in these subjects. It could be that they really like animals or aerodynamics. Use this interest to your advantage. While growing up, I remember learning concepts over and over again in my schooling, but I couldn’t quite fully grasp the concept until I actually did it for myself. That’s my learning style – – doing. For others, it might be auditory or visual. If your child is a bookworm, take that and run with it. Find time to make trips to the local library and find books on her favorite subject. Enlist your librarian’s help to find age-appropriate books on subjects of interest. As children grow and develop, so do their interests. I always liked math and science and enjoyed performing science experiments because I’m a hands-on learner. However, my reading was falling behind. My mother found time in our schedule allowing me to catch up in reading. We found science books at the library and even borrowed fun books from friends that sparked my interests. This allowed me to develop my reading skills while still giving me a taste of what I liked. Once you feel comfortable with the first subject, build on it. Then introduce the second subject into your homeschool schedule. Go back to step 2 above and focus on your child’s strengths and get creative in your teaching. For more tips on how to custom-design your customized curriculum, subscribe to our website.